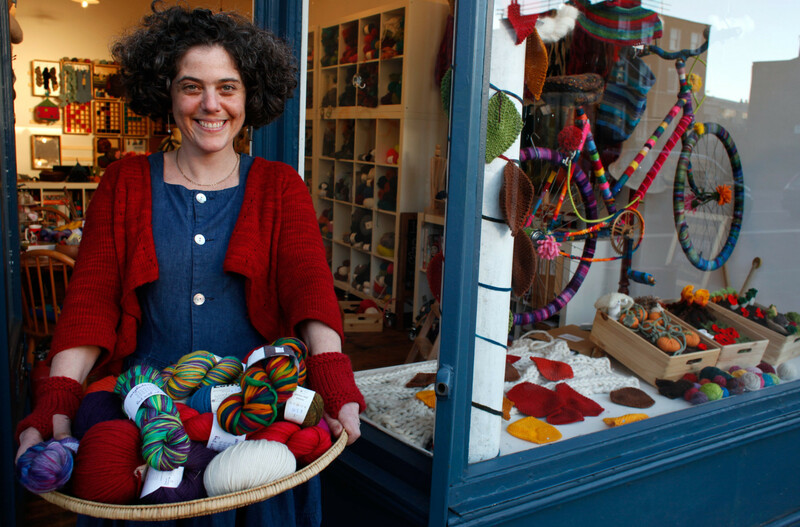 Curious about new directions for your colourwork knitting? Think of Intarsia and its separate and multiple fields of colour, each with their own shape and form. Intarsia takes colourwork knitting beyond repeating patterns, opening up new possibilities with design and colour. Master the techniques and you can begin to fit colours together like jigsaw pieces. 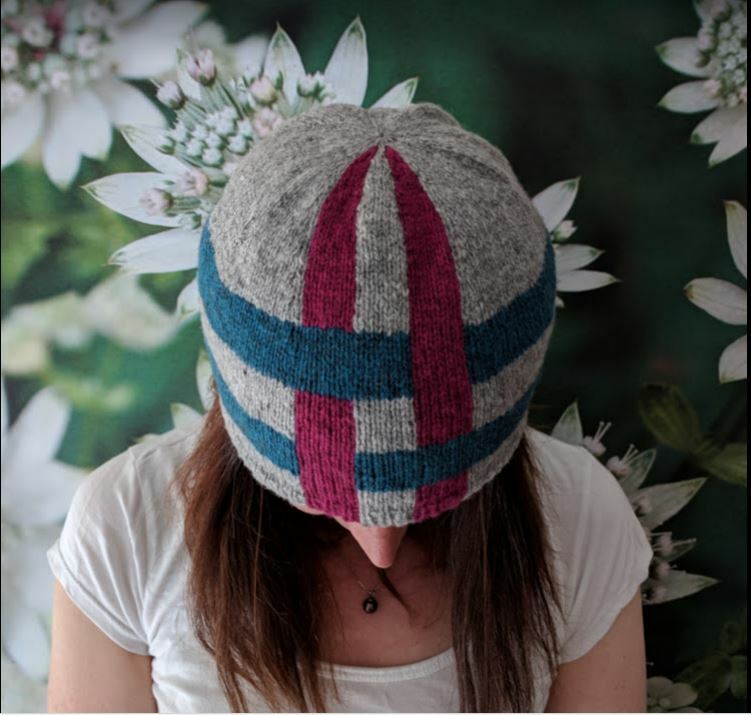 Join Wendy Petersen, editor of YarnSub.com and the Yarn Geeks Newsletter for an adventurous new colourwork journey where you’ll pick up a whole new toolset of foundational skills for the intarsia technique while swatching for the Weave Hat pattern (pictured) that’s included with the class. The intarsia cast-on – start colours at the cast-on edge. How to lock yarn at the colour change – the one simple rule you need. How to keep the edges of the colour blocks neat. How to join a new colour. How to weave in ends as you work. How to cast off in the colour pattern. This class is suitable for on-the-way knitters who can confidently cast on, knit, purl and cast-off. You will need 3 contrasting shades of Dererum Natura Ulysse wool or another light DK/Sport weight yarn to complete the Weave Hat pattern. Practice yarn will be available for swatching if you need it. Yarn and needles will be available to purchase with a 10% participant’s discount.